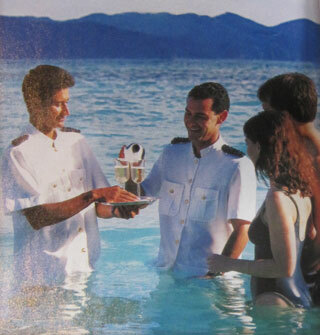 I was amused to see this picture in an airline magazine – part of publicity for a luxury cruise. Skechers makes cool shoes – mostly of the casual variety. 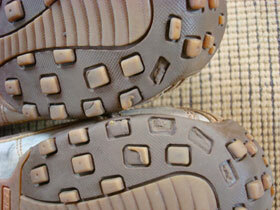 About six months ago, a pair I bought at some outlet store started to wear out. Shoes normally last me a long time because I weigh so little. I was a bit frustrated that these had only lasted around six months. 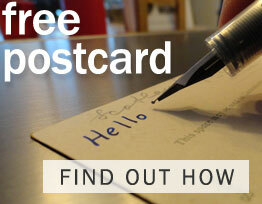 The little nibs were just a bad design, in terms of function. So I found that Skechers guarantees their shoes! I sent them back and got the opportunity to pick any new shoe they sold to replace them. That’s customer service. The only thing imperfect about the exchange was that it took about two months between the time I sent them in and received the new pair. But I’m not complaining.